Log in to book tee times faster. Sign up to book tee times faster. An email has been sent to your email account. Please visit the link in the email to create a new password. Houghton Golf Club has no review yet. Submit your review. Houghton Golf Club is one of South Africa's premier golfing venues and is one of only 5 Jack Nicklaus designed signature courses in South Africa. 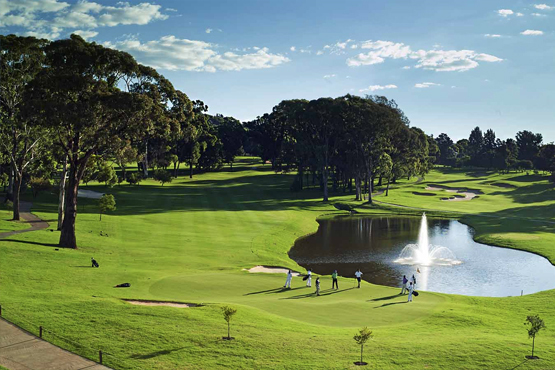 The course is steeped in tradition and has been host to the SA Open on no less than 8 occasions.Conveniently situated in the leafy suburbs of Johannesburg, the course is set on undulating land with the beauty of natural flowers, trees and bird life. It is not brutally long, so golfers will need to think carefully about their club choice to avoid the well positioned bunkers, ponds and dams.To highlight a couple of memorable holes, the par 5, 15th requires an accurate drive and then your 2nd and 3rd shots are downhill to a beautifully set green with water on the front and right. The 17th is a shortish par 4 with magnificent views from the tee and lots of sand to avoid. If you drive accurately and avoid the bunkers you can score well but find the bunkers and you'll be struggling for a par. All players must adhere to each individual club/course's dress code regulations and the host club's right to refuse a booking in the case of non-compliance. The host clubs reserves the right to pair you up with other players. The host club will not be held responsible for missed bookings or inconvenience due to inclement weather. Course condition is the host club's responsibility.We do not have control over the condition of any golf course and accept no responsibility for any disappointment you may experience. Houghton Golf Club has no review yet.